Everything about Kingdom Hearts χ is for die-hard fans who want to get caught up in the minutiae. There is a lot to take in here, and it is all framed within a fairly intensive mobile game. All you really need to know is over 100 years before Kingdom Hearts, five factions had Keyblade users fighting control the universe’s light. This led to the Keyblade War, which was a big deal in-universe and had repercussions that led to the events of Kingdom Hearts. If you do want to catch up, the Kingdom Hearts χ Back Cover movie in the PS4’s Kingdom Hearts HD 2.8 Final Chapter Prologue goes over it. 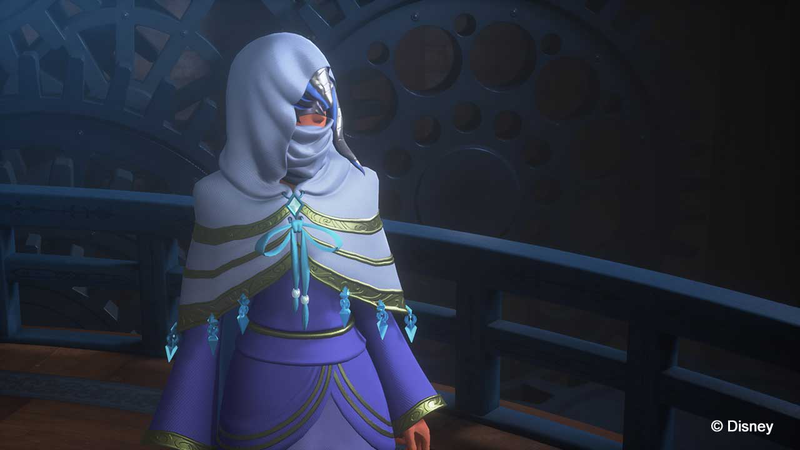 Kingdom Hearts: Birth by Sleep is a game that attempts to help make the original two games in the series less confusing by taking us all the way back to when Master Eraqus was around and Xehanort hadn’t let everyone know he was evil yet. It also was designed to explain what the χ-blade is, say why Xehanort wanted this weapon, how Kingdom Hearts’ Ansem and version of Xehanort came to be and start to explain why Roxas looked so much like both Sora and this other character named Ventus. 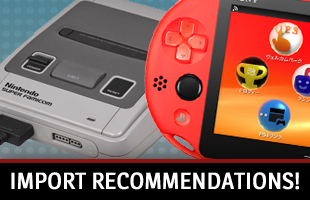 There is a lot to take in, story-wise, and it cam help make things a little clearer. Also, all of its events happen 10 years before Kingdom Hearts. What is great about Kingdom Hearts: Birth by Sleep is the level of customization you are allowed. It has the best battle system out of all the entries you should play. You create Command Decks, which have you picking and choosing specific attacks and abilities that you think would be best suited for certain battles. It also lets you perform stronger-than-usual attacks called Dimension Links, which bring in iconic Disney characters, or Surge and Storm Commands that result in majorly powered up combination attacks. The best version of Kingdom Hearts: Birth by Sleep can be found in Kingdom Hearts HD 2.5 Remix for the PS3 and PS4. This is a “your mileage may vary” game. If you liked Aqua, then absolutely play this. It goes over what happens to her after she falls into the darkness after Birth by Sleep and throughout Kingdom Hearts. It is really short and only available in Kingdom Hearts HD 2.8 Final Chapter Prologue. When it first appeared, Kingdom Hearts was this revolutionary thing. A boy is separated from his two closest friends, then sent from Disney world to Disney world to save princesses from iconic movies with the help of Donald, Goofy and a giant key he wields like a sword. It is also the one entry in the series that is the most straightforward! The best thing about the original Kingdom Hearts is how good it is about setting a tone and making things seem plausible. Getting super involved in a world where Disney cartoons and Final Fantasy heroes are duking it out might be a stretch otherwise, but it is fanciful and innocent enough to work. 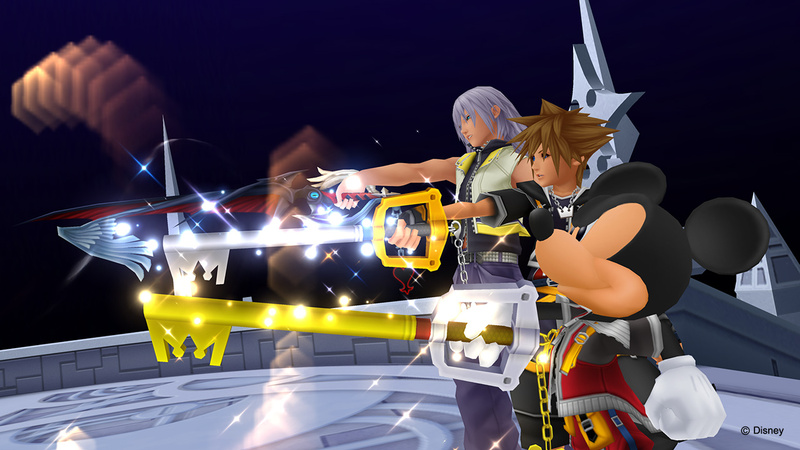 The best version of Kingdom Hearts can be found in Kingdom Hearts HD 1.5 Remix for the PS3 and PS4. Kingdom Hearts 358/2 Days falls in the same boat as 0.2 Birth by Sleep A Fragmentary Passage. If someone really likes Roxas, Axel and the Nobodies from Organization XIII, it is definitely a story to look into. It shows how Roxas joined the group and what daily life is like there. However, it has not aged well. If you can’t get enough of Roxas and Axel, grabbing Kingdom Hearts HD 1.5 Remix and watching the 358/2 Days cutscenes in HD is the best course of action. At the end of Kingdom Hearts, we have a situation where Sora ends up in a sort of limbo immediately after the first game. This ends up leading into the events of 358/2 Days and Kingdom Hearts II. But, it is also just a lot of fluff. Sora and his friends lost some memories, and going into a sort of stasis will help recover them. Riku learns to control his darkness. There, you know everything that happens here. However, I will say that the GBA version of the game has an interesting combat system that involves building decks of cards and looks really good for its age. You may find it worth looking at as a novelty. Kingdom Hearts II, which takes place about a year after the first game, is where the series started going off of the rails. Which is saying a lot, considering Chain of Memories appeared before it, but trust me on this. This installment is great about setting up a scope and showing exactly how bad the bad guys are, with Xemnas’ Organization XIII introduced, Sora going through new worlds to protect them and fight Heartless enemies called Nobodies, Riku’s redemption and the introduction of a new character called Roxas. 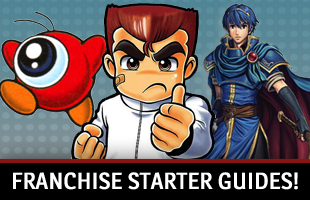 This installment is most notable for making the act of playing Kingdom Hearts more enjoyable. The camera works better here than it did in the original game. It is somewhat easier to actually take part in battles, with Reaction Commands introduced that allow you to press a button at certain points to dodge or use special attacks. The AI for your computer-controlled allies is better too. The best version of Kingdom Hearts II can be found in Kingdom Hearts HD 2.5 Remix for the PS3 and PS4. Oh, I can’t just say no? I have to explain why you should not waste time on coded/Re:coded? Okay. When Namine restored Sora’s memories in Chain of Memories, it caused data in Jiminy Cricket’s journal to become corrupted. 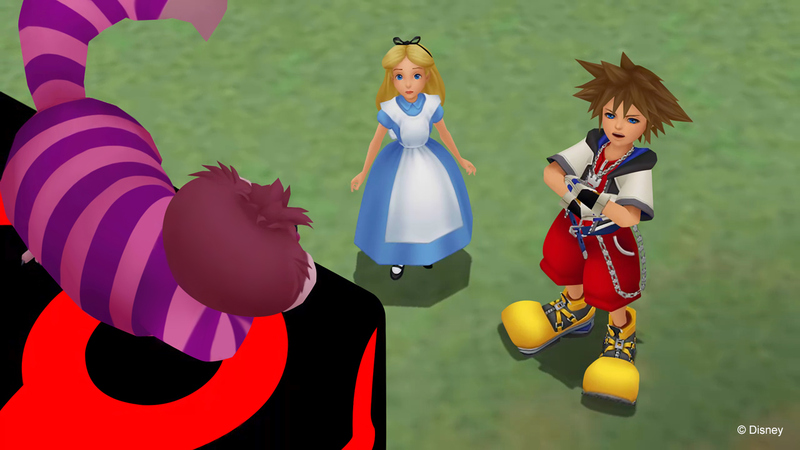 A virtual version of Sora, created by Mickey Mouse, goes into the diary to repair the data and find a reminder from Namine that the real Sora has to save Aqua, Terra, Ventus, Axel, Roxas, Xion and her. There is a video for it in Kingdom Hearts HD 2.5 Remix. You will not miss anything if you choose not to watch it. Here is the thing about Kingdom Hearts 3D: Dream Drop Distance: it’s not a bad game. The gameplay is mostly solid and there is a Pokemon-like element where you collect, raise and fight alongside whimsical Dream Eater enemies. It even introduces some new Disney worlds to the series! 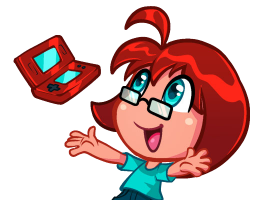 It looks really good on the 3DS too. 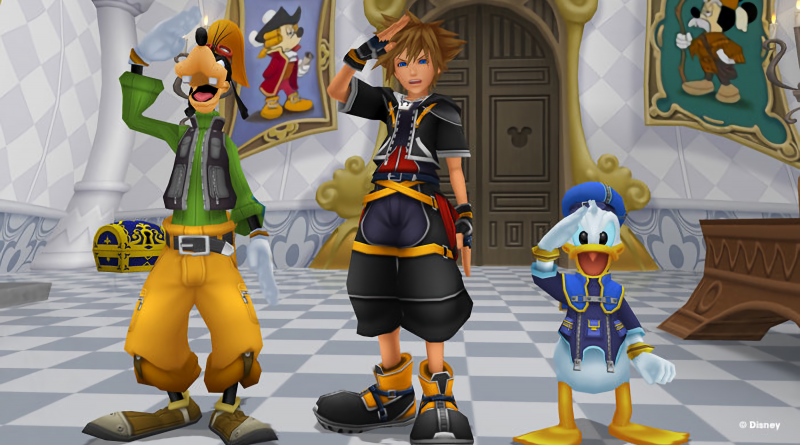 The problem is, Kingdom Hearts 3D: Dream Drop Distance is also a pretty big waste of time. The crux of the story is that the entirety of it is Sora and Riku taking the Mark of Mastery exam about a year after the second game so they can become full Keyblade Masters. Everything you really need to take away from it happens in the last hour or two of each character’s side of the story. Someone could go online, watch the ending and secret movie for the game, then be prepared for Kingdom Hearts III. If you do want to play it for some reason, the best version can be found in Kingdom Hearts HD 2.8 Final Chapter Prologue for the PS4.